ON THE HEELS OF THE 2017 presidential elections, George Manneh Weah brushed off criticisms and concerns in taking the bold step of naming Senator Jewel Howard-Taylor as his running mate with the hope of capitalizing on her strength in vote-rich Bong County to improve his chances of winning the presidency which had eluded his Congress for Democratic Change in the 2005 and 2011 presidential elections. SENATOR HOWARD-TAYLOR was the first lady to former President Charles Ghankay Taylor, who led the rebellion that kicked off 14 years of civil conflict in Liberia. He became president in 1997 and stepped down in 2003. He and Jewel Howard-Taylor divorced in 2005, one year before he was transferred to The Hague for war crimes and crimes against humanity charges. 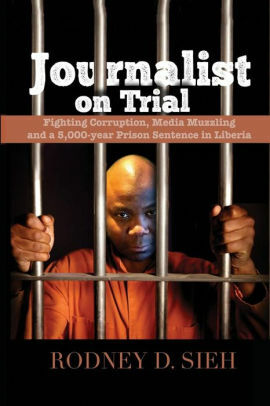 He was convicted in 2012 and is currently an inmate at the Frankland prison in the northern English city of Durham, facing a 50-year prison sentence after being found guilty for his role in atrocities committed in neighboring Sierra Leone in the 1990s. AT THE TIME, both Weah and his supporters pleaded with Liberians and voters to move on and voters did, electing President Weah in no small measure due to the role of Howard-Taylor. TODAY, PRESIDENT WEAH’S inner and security circle is filled with a number of former combatants who fought along side Taylor during the long-running civil war, including his influential Chief of Staff, Finda Bondoo. NEARLY A YEAR in it appears the President using his well-known ties to Rep. James Biney, to mount a serious push to expel his vice president from the NPP. LAST WEEKEND, delegates, who attended the “extraordinary session” of the National Patriotic Party (NPP) faction under Rep. Biney’s mantle, voted to expel the Vice President from the party, agreeing that a communication be sent to President George Manneh Weah, telling him to “recall” the two expelled persons, from their governmental posts. 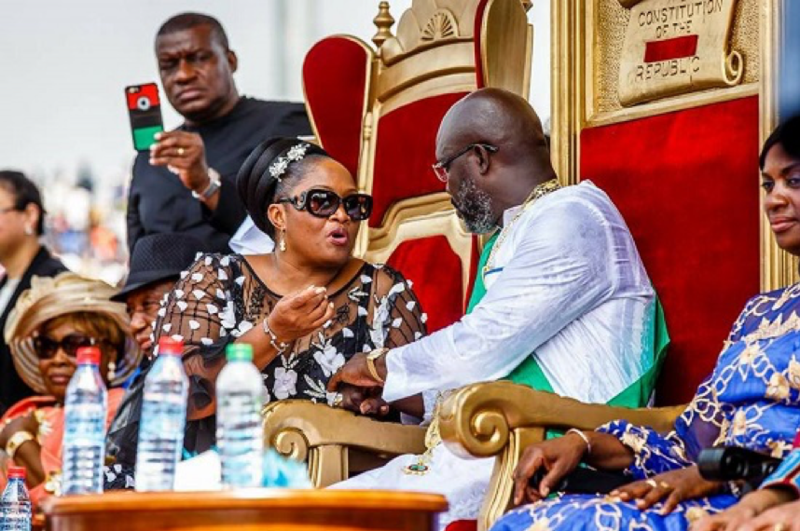 THROUGHOUT THIS ENTIRE ordeal, President Weah has remained silent, failing to say anything about what is unfolding against his vice president, the one on whose shoulders he rode to the presidency. SHOULD THE NPP decision hold, President Weah will be faced with a very difficult dilemma. Does he have the power to single-handedly recall his VP from her post after both were elected by the people of Liberia? Would he listen to the poor and rash decision of Mr. Biney’s NPP faction urging him to part ways with his vice president who was democratically elected? WHEN DID MR. BINEY and his NPP faction become aware that the first lady had gone against party’s constitution? When did they become aware that the vice president was trying to bring division within the NPP and by extension the governing Coalition for Democratic Change (CDC)? KEEP IN MIND that neither the NPP or the CDC is the Republic of Liberia. PRESIDENT WEAH must tread cautiously on this issue or risk plunging Liberia into an abyss of renewed conflict if he fails to steer the course of the democratic transition Liberia is currently enjoying. AS A FORMER PEACE AMBASSADOR and UNICEF Ambassador, President Weah should be the last man on earth tinkering with a bourgeoning democracy and the constitution of the Republic. WE HAVE SAID HERE ON more than one occasion that President Weah is flirting with dictatorship with his push to have absolute control over the three branches of government. His well-documented push to remove Chief Justice Kabineh J’aneh as Associate Justice of the Supreme Court of Liberia and now his own vice president speaks volumes and should be condemned by all well-meaning Liberian. THE LEGISLATURE it appears have become a rubber stamp – with no balls to stand up and be counted for what is right in a nation dying for answers in rising wave of public discontent. FROM OUR RECOLLECTION, the current vice president has not engaged in any treason, bribery, felonies. Neither has she violated the constitution or been involved in any misconduct. ANY ATTEMPT by President Weah to follow the NPP down this narrow, selfish and indiscipline road is a gross attempt to usurp the constitution of the Republic. THIS IS NOT what the forefathers envisioned when they crafted the constitution. President Weah must resist all efforts by those sycophantic followers telling him that he should get rid of his vice president now. There is simply no basis for this. DESPITE EVERY ATTEMPT to wrestle control from her office, including an attempt in January to deny her the constitutional right as President of the Senate responsible for presiding over its deliberations without the right to vote, except in the case of a tie vote, she has persevered. THE VP APOLOGIZED even after she was told that she did not seek permission to travel when she did and was forced again recently to display proof of her latest travel when the president once again sought to suggest that she did not seek his approval before travel on her current trip. THE VICE PRESIDENT has more than once, maybe even thrice, reassured the nation of her commitment and loyalty to the advancement and implementation of the Pro-poor Agenda for Prosperity and Development as enunciated by the President. WHAT MORE CAN she be asked to do? JEWEL HOWARD TAYLOR is no angel – and we have on more than one occasion taken her to task on some of her missteps. But we have to speak truth when a wrong is being made here. President Weah is treading a very dangerous path that will not only ruin his reign but dampen the gains made on the governance front in Liberia.